[Translate] Brim Coffee originated in the early 1960s as a canned, strictly decaf coffee product made by General Foods. The original products disappeared from shelves in the mid-1990s amid corporate reshuffling. Ownership of the brand has changed hands more than once since then, eventually leading to an acquisition by Sensio in 2014. To help lead the brand into the current craft coffee landscape, Sensio has also brought on board resident expert and brand ambassador Blair Smith, a barista for California-based coffee company Augie’s Coffee Roasters and a U.S. Brewers Cup finalist and judge. 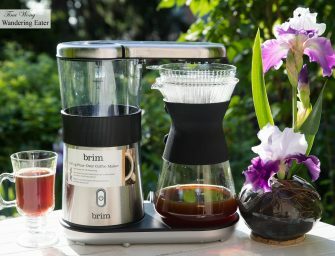 Brim’s automatic 8-Cup Pour Over Coffee Maker..
[Translate] There are lots of rooftop bars in New York City. Some would get your attention having the relatively close-up views of the Empire State Building, while others give you another perspective of this grand city. 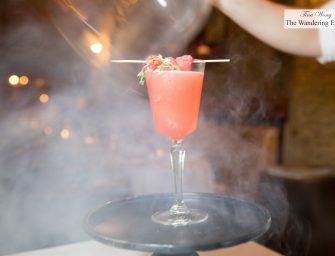 When it comes to Ophelia Lounge at the Beekman Tower from Merchants Hospitality and Public Agenda, it’s a very chic setting with amazing views of Long Island City and the eastern end of Midtown. You’re greeted with soaring 30-foot ceilings and a 24-foot-long pewter bar when you step off the elevator. 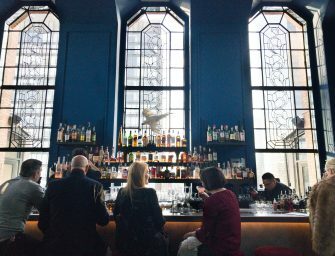 Vintage lighting and 13-foot windows showcase 360-degree views, while the maroon and red-velvet..
[Translate] Mother’s Day is nearing — 2 weekends away (Sunday, May 10th)! 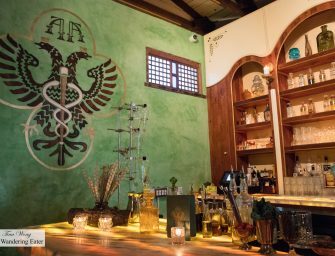 For those who are trying to decide what to give to your mom on her special day, ranging from chocolates (filled and in vogue bean-to-bars), wines, artisan beers and spirits (she might not be your typical mother and like the hard stuff), other sweets (like French macarons) and savory snacks (like cheeses and crackers): These items are not listed in any particular order, except by category. For ease of navigation, here’s the links to jump: Chocolates, Confections & Desserts Wines, Beer & Spirits Coffee Other Food Items Cookbooks..
[Translate] What to get for your old man? That’s the question that tends to brew in my mind when every year arrives to Father’s Day. It’s hard to pick a gift for my dad personally because he pretty much has everything he wants and needs in life but there’s always something that could surprise him, especially when it comes down to the quaffable and edible. The Booze… Greenore 8 Year Old Single Grain Irish Whiskey won Gold three years in a row at the International Wine and Spirits Competition between 2008 and 2010. This whiskey is an interesting expression made..
[Translate] At Ruth’s Chris Steakhouse Lounge; Mint Julep made with Bulleit Bourbon paired with Bacon wrapped scallops with couscous, bell pepper sauce Last week I attended to Bulleit Bourbon paired dinner at Ruth’s Chris Steakhouse in Midtown West. If you’ve recalled in my recent review (on my Easter gift guide), they create very good bourbons that are robustly spicy with vanilla end notes. Honoring their flagship bourbon and it was the Kentucky Derby that weekend, they started with mint juleps made with the Bulleit Bourbon. Super refreshing that has a resonating, spicy roundness of its bourbon. It works very well..
[Translate] One of our most important and influential people, in my life at least, is my mom. Since Mother’s Day is a bit more than 2 weeks away (if you really don’t remember, it’s Sunday, May 12th) you still have some time to get her something before she’ll bite your head off. Here are some of my gift ideas: Chocolates Coco Délice Chocolates Coco Délice is based out in San Francisco, California, whose mission is to have great flavor and appearance, and utilizing the best possible, local ingredients. 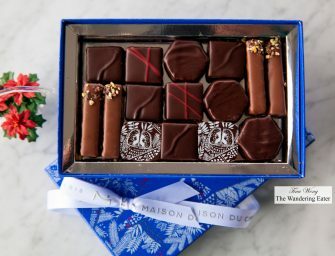 Their chocolates are French inspired by technique and dominantly French inspired with..